Washington's Westport Winery along with Schmidt Family Vineyards and Reustle Prayer Rock Vineyards from Southern Oregon and British Columbia's Serendipity Winery were among the top award winners recognized at the recently completed SavorNW Wine Awards. The competition was conducted February 27 to March 1 in Cannon Beach, Oregon and included nearly 700 entries representing some of the top wines currently available from Oregon, Washington, Idaho and British Columbia wineries. The largest number of awards went to Western Washington's Westport Winery including two best of class awards, three Double Gold Medals and three Gold Medals. The Westport, Washington based winery claimed Gold Medals or better for their 2014 Cabernet Sauvignon (Charterboat Chick), 2014 Petite Sirah (Swimmer), 2015 Riesling (Lighthouse), 2015 Gewurtztraminer (Captain Gray), 2014 Maritime sparkling wine and three fruit wines including their popular sparkling Cranberry, Rapture of the Deep. Washington's Kiona Vineyards and Winery collected six top awards including four Double Gold Medals and two Gold Medals. Other top awarded Washington wineries included Spokane's Latah Creek Winery and Woodinville's William Grassie Wine Estates, who each claimed five top awards. Oregon's top Gold Medal winners included two Southern Oregon wineries; Reustle Prayer Rock Vineyards and Schmidt Vineyards, each collecting four Gold Medals or better. Reustle Prayer Rock Vineyards' awards include two Best of Class selections for their 2015 Malbec and 2015 Gruner Veltliner Winemaker's Reserve. Among Pinot Noirs, 16 wines earned top honors from 65 entries including two each from Willamette Valley's Spindrift Cellars (2015 Pinot Noir and 2014 Reserve Pinot Noir) and Youngberg Hill Vineyards (2014 Cuvee and 2014 Bailey). Bradley Vineyards from Elkton, Oregon won Best of Class for their 2014 Pinot Noir. The competition's top British Columbia award winner was Serendipity Winery who earned four Gold Medals for their 2013 Pinot Noir, 2015 Viognier, 2015 Sauvignon Blanc and 2014 Sparkling Truth. Idaho wineries also claimed top honors with Colter's Creek Vineyard and Winery earning a Gold Medal for their 2014 Syrah and Williamson Orchards and Vineyards collecting a Gold Medal for their 2013 Syrah. 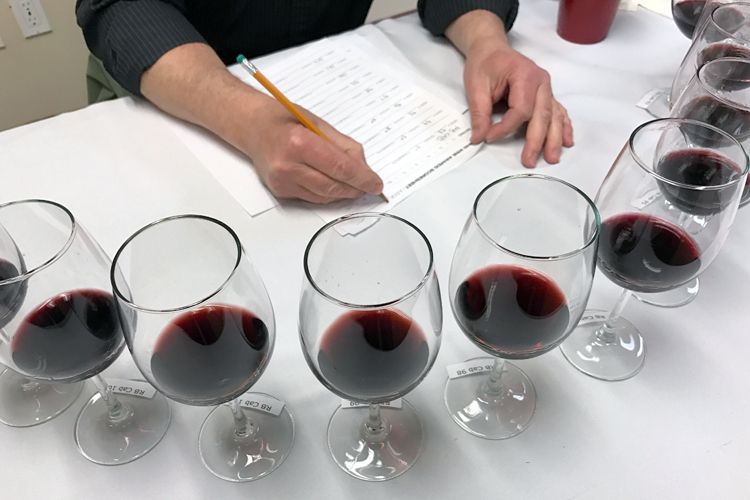 The SavorNW Wine Awards competition is an annual blind tasting of Northwest wines where the judges only know the varietal they are evaluating. For a complete list of winners, visit our Award Winners page.